Standing on the deck of this 100-year-old Sears kit home in Elmhurst, Ill., it’s easy to forget you’re only 30 minutes from Chicago. 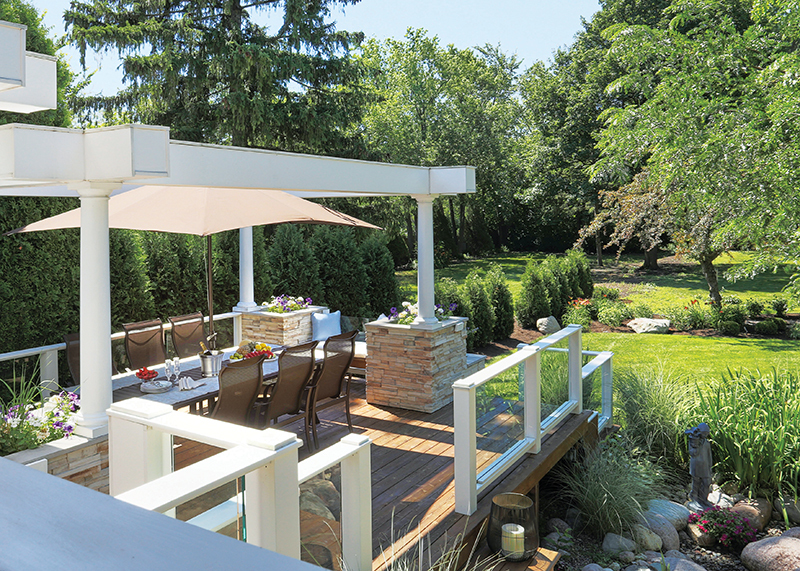 That’s precisely what Larry Rych, president of Imperial Kitchens and Baths, wanted when he and his wife began drafting plans for their multilevel dream deck, a labor of love that took more than two years to complete. 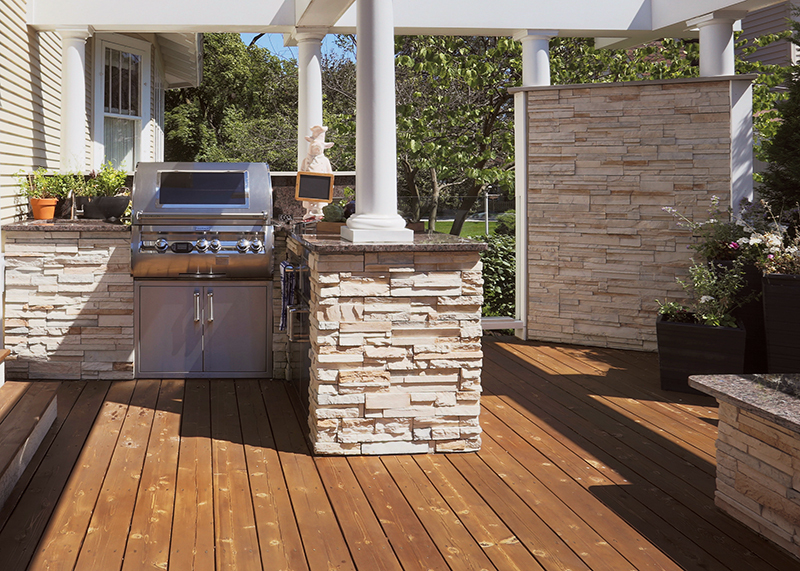 The 600-square-foot, tri-level deck creates ample space for relaxation, entertaining, and dining. 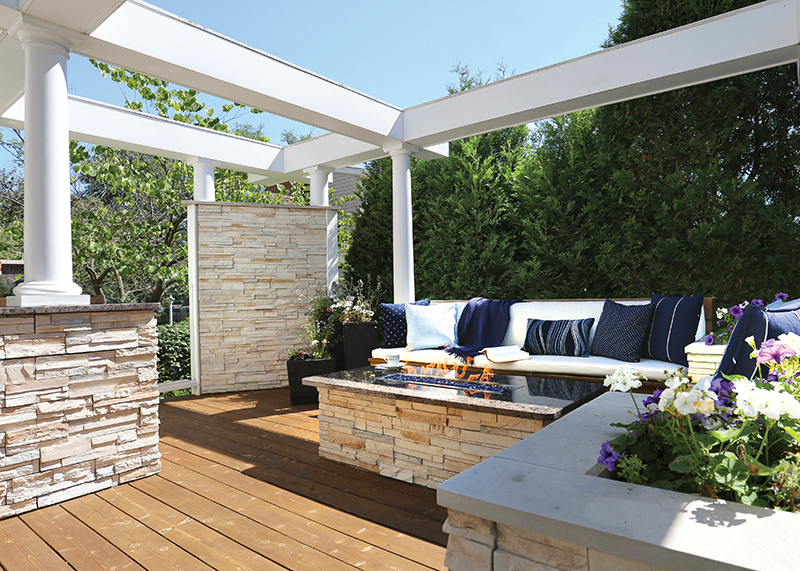 Mixing covered and uncovered spaces allows for enjoyment of the space regardless of unpredictable Midwestern weather conditions. 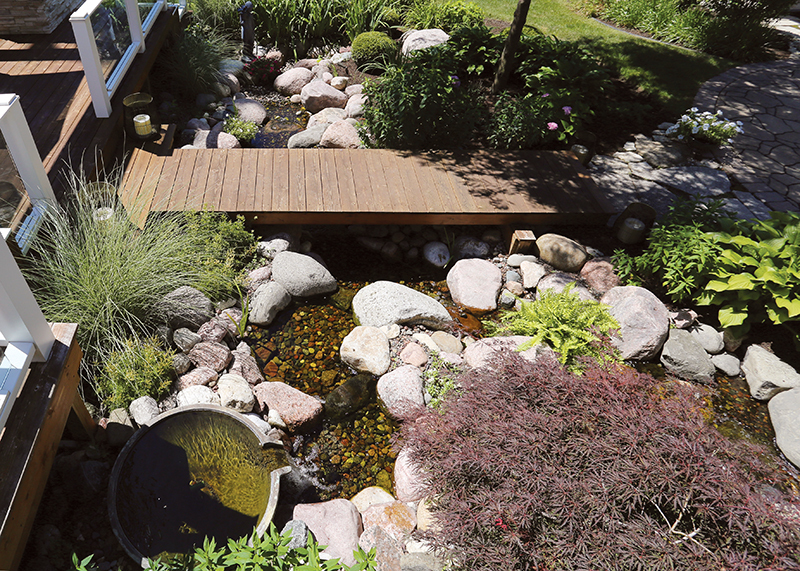 The deck opens to a grassy yard and expertly cultivated garden to the south, and over a handcrafted brook to the west. The 14-foot span covered by the bridge over that brook posed one of the biggest challenges. Using lumber would require supports large enough to obstruct the views of the brook from the house, so Rych substituted 4-foot-long steel I-beams clad in cedar. 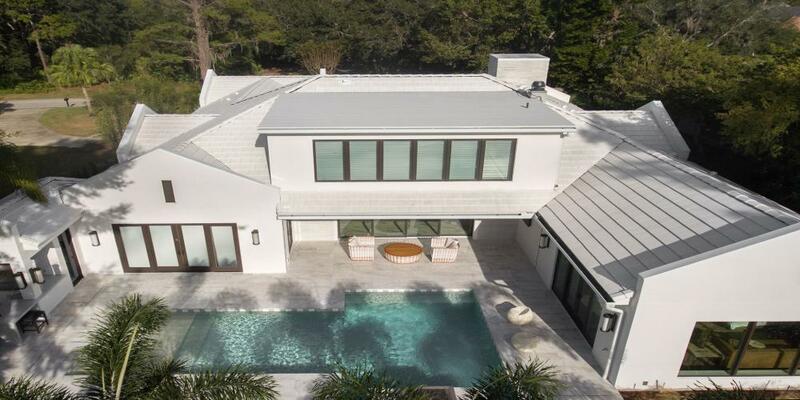 In order to blend the backyard design with the rest of the home, Rych replicated, on each level of the deck, the white columns found on the front of the house. His son-in-law refers to this space as the “porchopolis,” thanks to the Grecian feel of the columns and glulam beams. Azek PVC trim and column wrap was used to eliminate the need for further maintenance. Rych selected open rafters rather than a full covering to give the area definition while maintaining a sense of spaciousness. 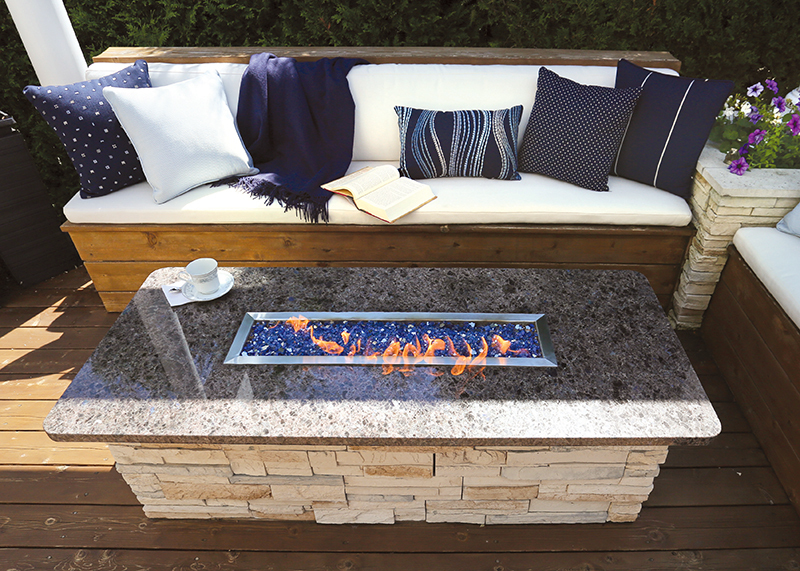 The cracked blue glass fire pit has 6-inch-tall tempered glass screens that can be put up to block a strong breeze or keep curious grandchildren safe. To avoid visual clutter, Rych selected L-shaped cedar benches to pull double duty as comfortable seating and hidden storage space.